but of new growth along a trail, softly seen. 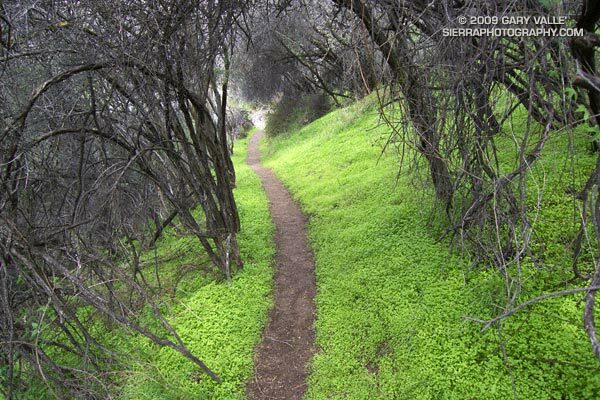 From a run of the Trailer Canyon – Trippet Ranch loop, described in Garapito Trail Runs. Here is a Live Browser View of the run using the Google Earth browser plug-in (Chrome, IE7, IE6, Firefox).